13 days until the Boston marathon. This past weekend I ran about 13 or so miles on a trail near my house. The trail is about 10 miles long in total; I just ran 6-7 miles and then headed back. 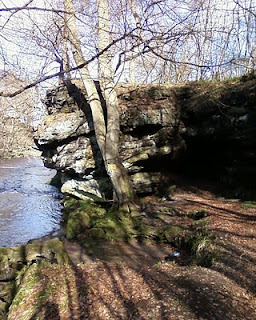 I ran to a place called "Wallace's Cave" (the dark bit on the right side of the photo). Apparently, William Wallace (Braveheart) hid there once. 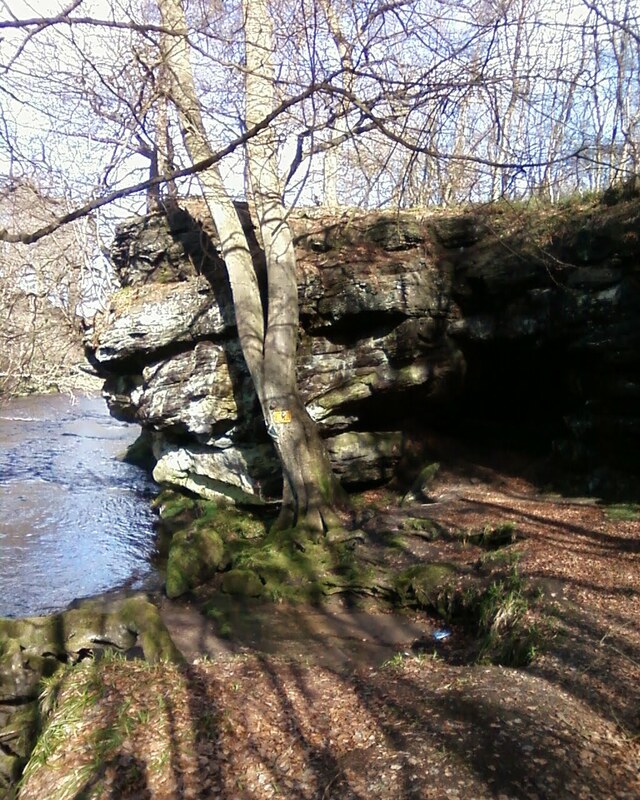 It's a small cave, but an interesting rock formation. Encouragingly, I felt good on the run. After feeling slightly tired on my runs all week, I somehow had some bounce in my legs. Perhaps I do have some fitness. Does everyone feel uneasy about tapering? OK, I buy that you don't want to arrive at the starting line tired. But it's hard to pull back. Nonetheless, I've been trying. I'm doing a moderate taper. With some hills. My father's condition has stabilised for the time being, which is encouraging. There were a few moments of real anxiety this past weekend, but it seems like he is pulling through.